Two proud sons of England’s provincial backwaters present their debut hour: ‘one of the best-reviewed shows of the Edinburgh Fringe 2018’ (British Comedy Guide). These boiler-suited sketch merchants, MOON, a.k.a. 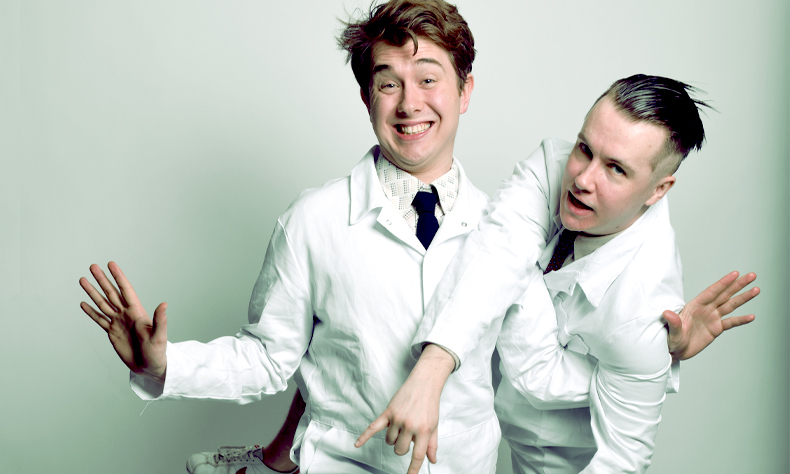 Jack Chisnall and Joshua Dolphin, bring their unique brand of dark, unexpected and immersive sketches to Soho Theatre. The Now Show (BBC Radio 4) writers and former Oxford Revue members enjoyed a critically acclaimed run at the Edinburgh Fringe, with one of the Sunday Times’ ‘best of the fest’ shows.